This edition features music and words (PDF format) for viewing only. Our Faith in PDF format is also included. This edition features music and words (PDF format) for viewing only. 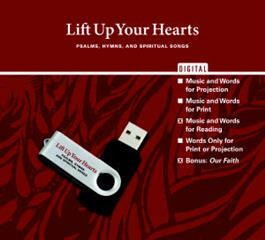 Our Faith in PDF format is also included. Ideal for individual use, e-readers that support PDF files (such as Kindle Fire or iPad), and those with visual impairments.